Wal-Mart Stores Inc. has reached an agreement with a New York prosecutor's office, under which the company will pay about $2 million and implement new post-Thanksgiving crowd-control measures at all of its New York stores, in an effort to avoid "shopper stampede" incidents like the one that killed an employee at a Wal-Mart store in New York last year. Under the deal announced today between the retail giant and New York's Nassau County District Attorney, Wal-Mart will also avoid prosecution in connection with the death of Jdimytai Damour, a 34-year-old employee at a Wal-Mart store in Valley Stream, N.Y.
On 2008's "Black Friday," the busy shopping day after Thanksgiving, Damour was trampled and died of asphyxiation after a "crowd burst through the store's front doors in a race to buy a limited assortment of discounted merchandise," according to the Wall Street Journal. In a statement on the agreement, a Wal-Mart Stores Inc. executive declared that the new crowd management plan "was developed by a team of experts whose experience includes NFL Super Bowls, Olympic Games, concerts and national political conventions", and is a "first-of-its-kind plan that incorporates proven crowd management techniques into the unique circumstances of a retail setting." As part of the agreement, Wal-mart will also pay about $400,000 to compensate victims of the 2008 incident, and will donate $1.5 million to Nassau County social services programs and non-profits, the Associated Press reports. The 'Premises Liability' Legal Theory. 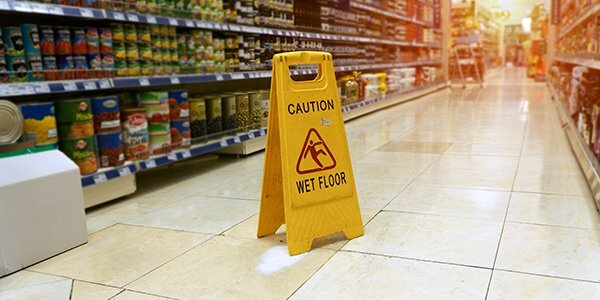 When someone is injured in a store or other commercial establishment like Wal-Mart, the company can be held responsible for the injuries under a legal theory called "premises liability". In most states that have adopted the premises liability theory for negligence that occurs on a business's property, a customer in a store is given "invitee" legal status, meaning that customers enjoy the highest level of legal protection for any accidental injury that occurs on store property.